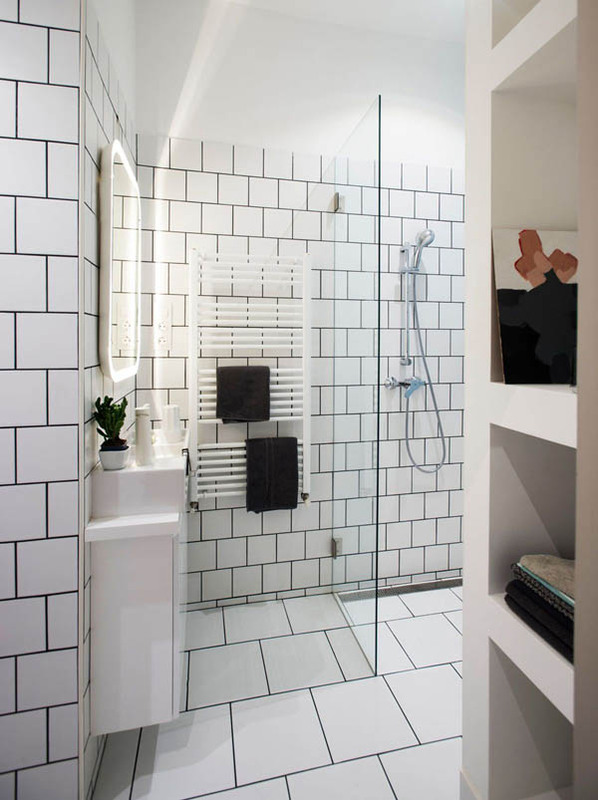 In many tourist cities, more and more apartment owners choose to transform their properties into such spaces so travelers can enjoy the comfort of a welcoming home adapted to suit their simplified needs. Those kind of accommodations are much welcomed by some travelers compared with living in hotel. How to design such place and more it comfortable for travelers are the keys. Here we will present you a successful case of an apartment in Budapest where has become a popular tourist destination in the past years. 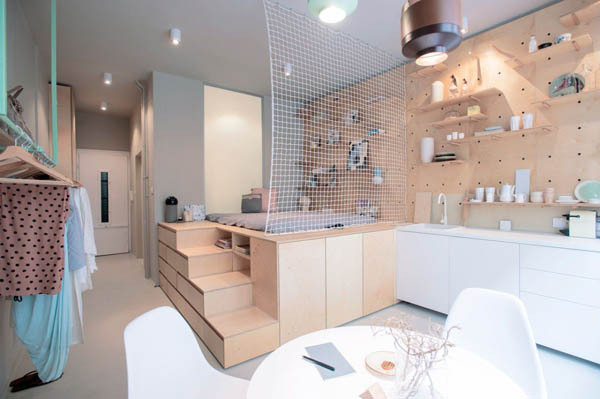 This 30 square meter apartment has a single room which incorporates the sleeping area, the kitchen and a small dining space. It looks quite spacious compared with its actual footage. 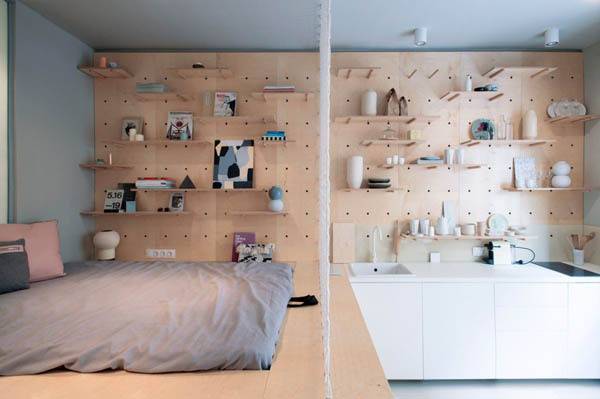 To achieve such effect without sacrificing storage, the design team create an elevated platform for sleeping area. The double bed (mattress actually) was placed on top of it. Underneath, the platform incorporates storage for things like pillows, blankets and even clothes. Another clever design is the storage wall – the whole wall is treated as a configurable storage system with pegs that hold a series of shelves. These can be easily removed and re-positioned as desired. 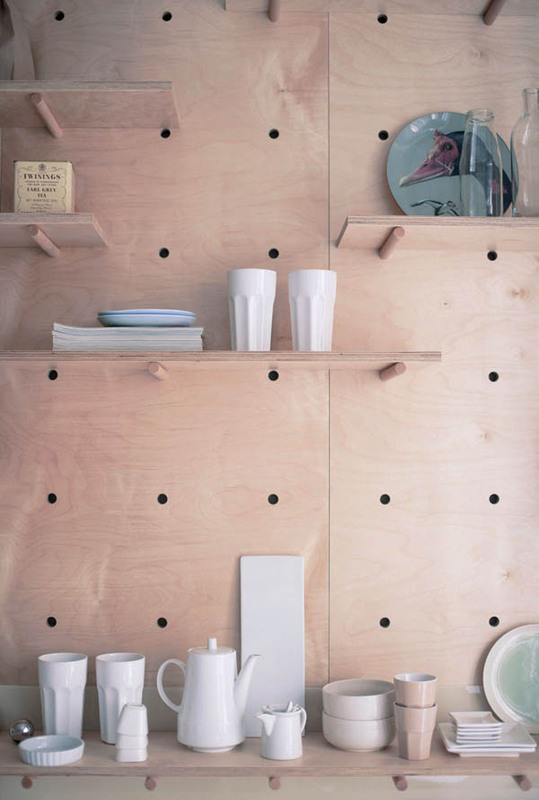 The pegboard continues into the kitchen where the pegs and shelves can be used to store and display dishes, spices and other utensils and useful items. It replaces the traditional cabinets in standard kitchen, providing more casual and airy looking without sacrificing the storage. 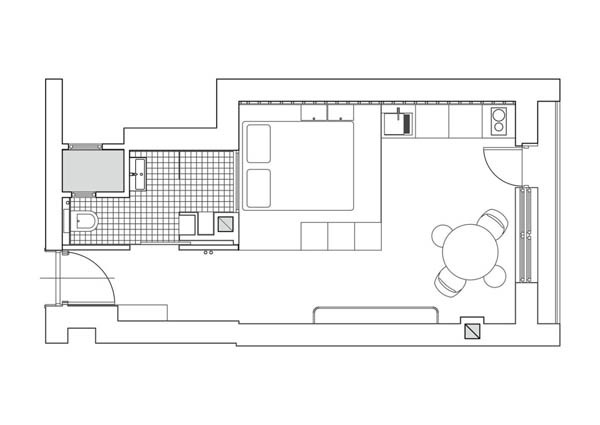 To the left of the sleeping area, hidden behind the bed one can find a small bathroom. The airy can clutter-free design continues here. 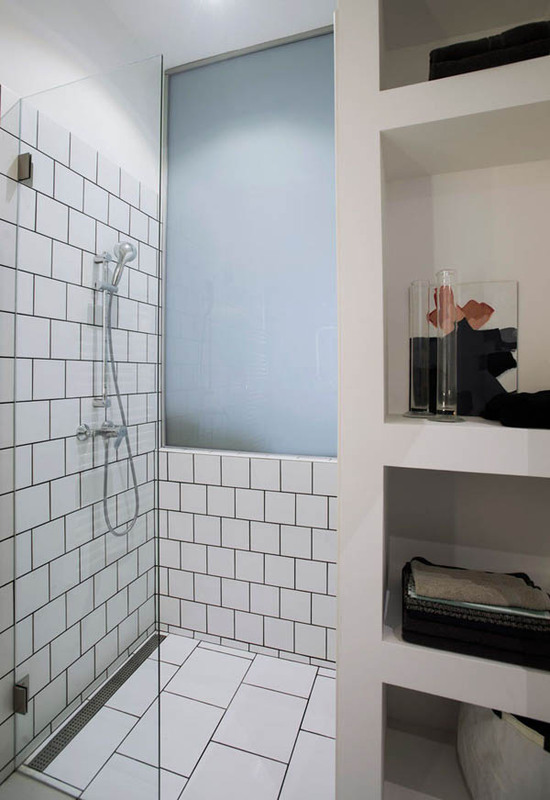 The glass shower divider allows light to enter the space and the wall mirror adds depth to the room. 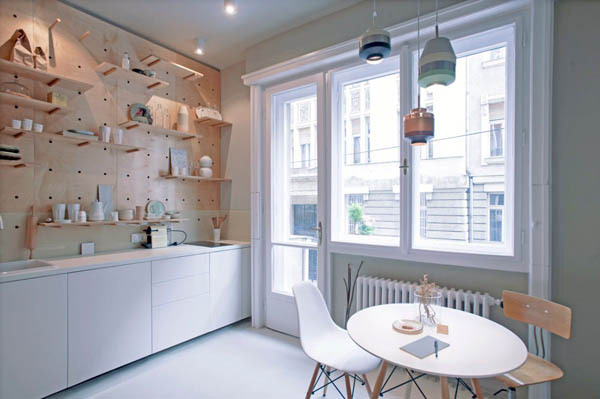 If you ever visit Budapest, would you like to live in a place like this during your stay?